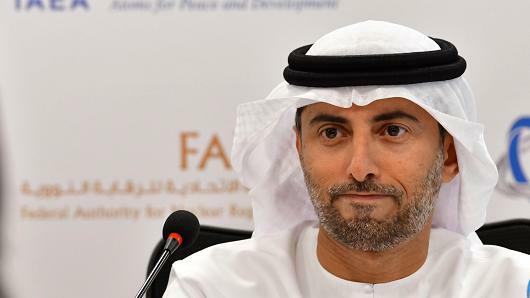 As oil prices rise to hit a four-year high of $70 a barrel, the UAE’s Energy minister Suhail al-Mazrouei expects the markets to stabilize after a dip that lasted since the end of the expensive oil era in 2014. He told CNBC that 2018 will be the year when a balance will be stricken between supply and demand. “I have no doubt that the market needs further correction. We still have more than 100 million barrels that need to be taken care of.” He added that the recent rise in oil prices showed market sentiment was good, but that the correction in the market was a work in progress. Oil supply data have shown that OPEC members have largely complied with the agreement to curb oil output, although some members like Nigeria and Libya are exempt from the deal. Al-Mazrouei said the adherence to the agreement had been a positive sign of collaboration between the group and non-OPEC producers. Last year, OPEC and other nations including Russia said they would extend a deal to cut production to help support oil prices that had fallen below $50 a barrel when the agreement was struck in 2016. Brent was trading below $30 in early 2016 as a result of a massive supply glut and weaknesses in the world economy.